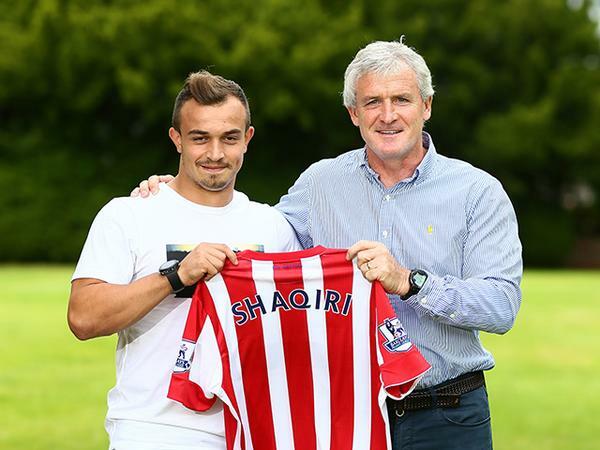 Stoke City have completed the signing of Xherdan Shaqiri from Inter Milan in a club record deal of £12m. The 23-year old Swiss international will be the Premier League club's ninth summer signing, just a month after the deal appeared to be off. He joined the Serie A side from German champions Bayern Munich in January and scored three goals in 20 games for the Italians. He has scored 17 times for his country.